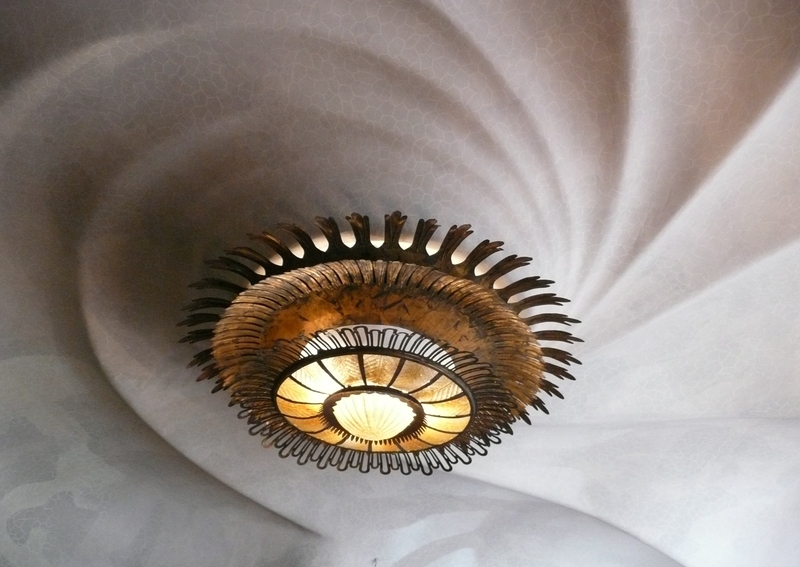 I used my Panasonic to take this photograph of the glorious ceiling in the main room of Casa Batllo in Barcelona. The house was designed by Antoni Gaudi for the industrialist Josep Batllo Casanovas between 1904 and 1907. My guide book says ” The ceiling of the central room is a flat sky that forms a whirlpool which, as well as constituting another marine references, refers, as is common with Gaudi, to the idea of generation of nature”. Obviously it’s a literal translation from the Spanish but I think you get the gist! 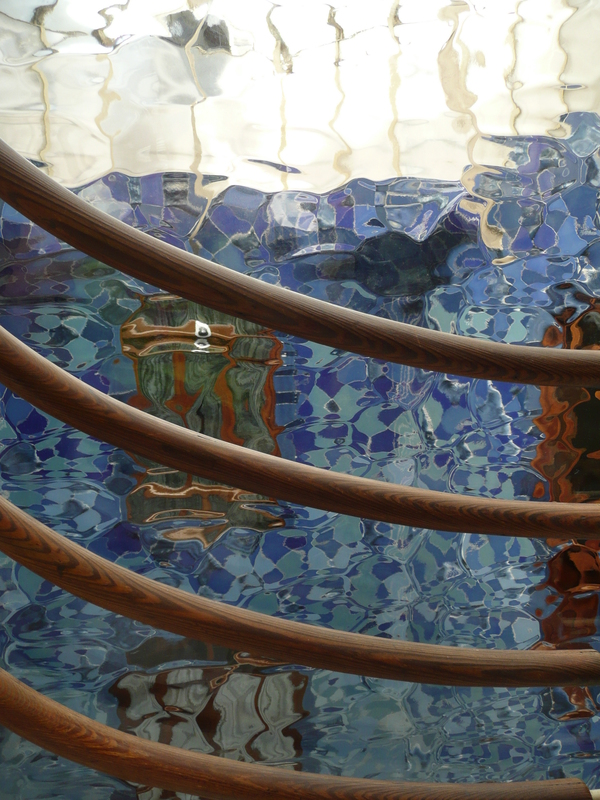 I used my Panasonic DMC – TZ3 Camera to take this shot in Casa Batllo in Barcelona. I love the contrast of the wood against the rippled glass and the distortion of the tiles in the beautiful stairwell.